Yeah, you read that right, I'm reviewing a product that was only available for two weeks.... how silly is that? It's such a shame for a well flavored cake. What sells this one is the all of the sweet frosting and the rich ganache, they pack a flavor punch that will have you daydreaming about Oreos for hours (and hankerin' for a second piece of cake). 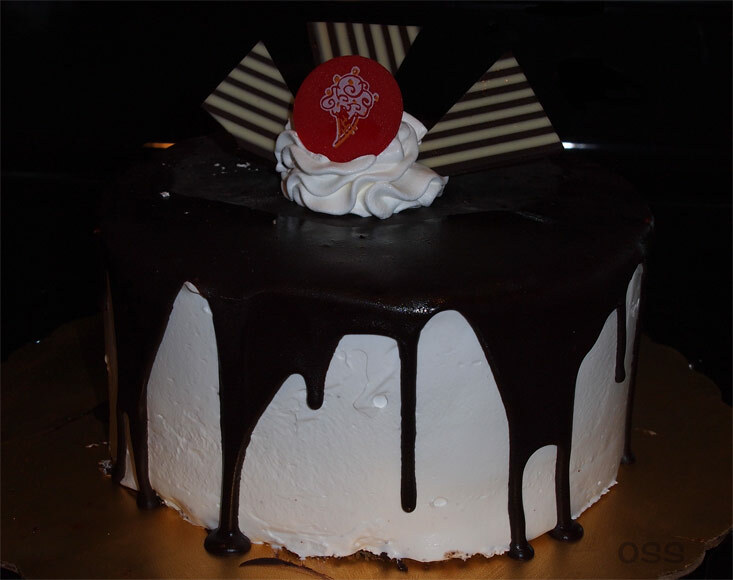 This is a Cold Stone Creamery cake so it's not like I had any worries about the quality, but the outside of this cake will have you rushing to take your next bite. My only (mild) compliant about this cake is that the flavors are so wonderful that my tastebuds want some Oreo wafer crunch to kind of seal the deal. 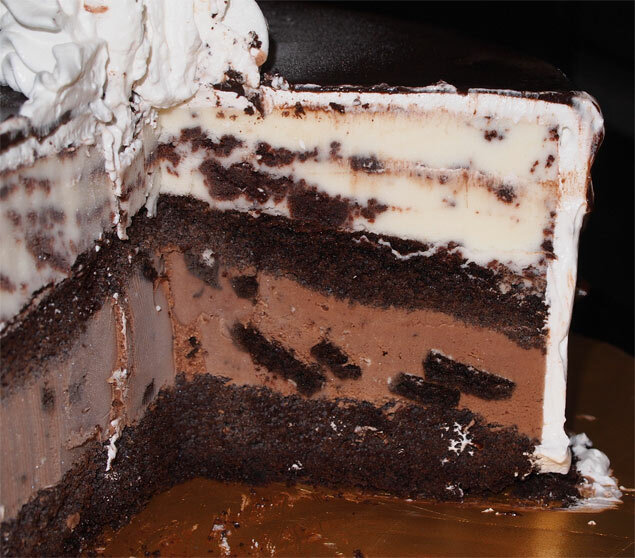 Yes, the chocolate ice cream layer does have Oreos in it, but I want more, MORE MORE MORE. Sorry, don't mean to be greedy. On Second Scoop: Ummm, silly me didn't realize the red disc on top is a confection, not a piece of plastic. Anyway, teh family made short work of this one. Goodbye cake, we will miss you. Buy Again? Can't... but maybe next year! How torturous Dubba that you write about something none of us can have. Btw did you notice the first pic you posted of the cake, it looks like a giant chocolate covered marshmallow?